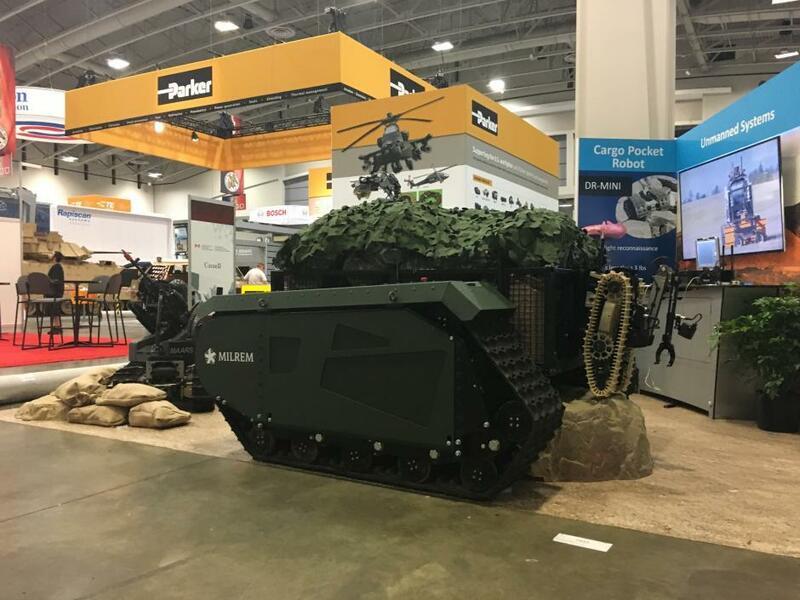 The Estonian defence solutions provider, Milrem, and QinetiQ North America, a defence technology company, on Monday launched the Titan, the first fully modular, hybrid unmanned ground vehicle (UGV) that complies with the initial requirements put forth in the US Army’s Squad Multipurpose Equipment Transport Initiative. Milrem and QinetiQ partnered to create the UGV that combines Milrem’s THeMIS (Tracked Hybrid Modular Infantry System), the first fully modular hybrid unmanned ground vehicle made for military applications, with QinetiQ’s robotic control technology – the TRC (Tactical Robot Controller) and RAK (Robotic Appliqué Kit). “As a multi-mission vehicle platform, [the] Titan can assist and replace soldiers on the battlefield to perform complex and hazardous tasks,” the companies said in a statement. Milrem and QinetiQ will display the vehicle during the Association of the United States Army (AUSA) 2016 meeting in Washington, DC, 3-5 October. Milrem’s vehicles for the US market will be constructed in the United States, with manufacturing preparations already underway. Milrem is an Estonian defence solutions provider specialising in military engineering, repairing and maintenance, established in 2013. QinetiQ is a British defence technology company; QinetiQ North America is its subsidiary.